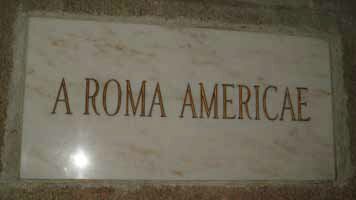 Finally, in 1984, full diplomatic relations were established between the US and the Holy See, something that managed to bring Catholics and non-Catholics together – on both sides of the issue. Essig, Andrew M. and Jennifer L. Moore. 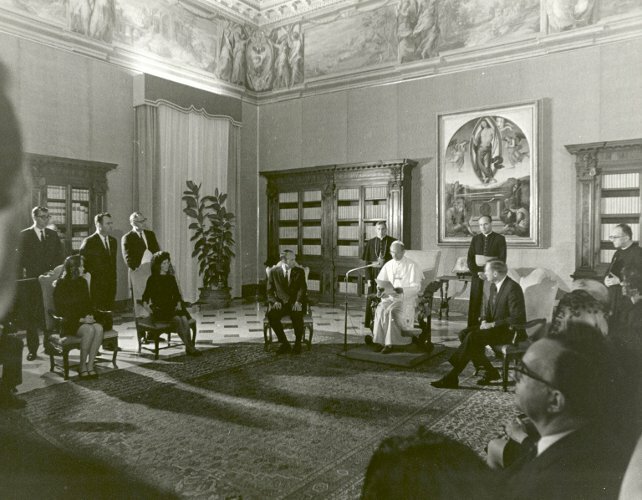 “U.S.-Holy See Diplomacy: The Establishment of Formal Relations, 1984”. The Catholic Historical Review. 95. #4. October 2009. 741-764. Wood, Jr., James E. “Editorial – U.S. Ambassador to the Vatican.” Journal of Church and State. 26. #2. Spring 1984. 197-207. Check out the Catholic New Media Conference this summer! From the very beginning of the history of the United States, the idea that the US should have establish diplomatic relations, and the nature of those relations, has aroused significant controversy. Father Theobald Mathew, OFM Cap., traveled to the United States in the hopes of spreading his Total Abstinence Society and raising funds for continuing his work in Ireland. He attracted enormous crowds and even met the president. However, he also found himself caught up in the maelstrom that was slavery. Kerrigan, Colm. Father Mathew and the Irish Temperance Movement: 1838-1849. Cork, Ireland: Cork University Press, 1992. Nelson, Katherine H. “Knights of Father Mathew.” Alcohol and Temperance in Modern History: An International Encyclopedia. ABC-CLIO, 2003: 350-351. Quinn, John F. Father Mathew’s Crusade: Temperance in Nineteenth-Century Ireland and Irish America. Amherst: University of Massachusetts Press, 2002. Quinn, John F. “Father Mathew’s Disciples: American Catholic Support for Temperance, 1840-1920.” Church History 65, no. 4 (December 1, 1996): 624–640. Townend, Paul A. Father Mathew, Temperance and Irish Identity. Dublin ; Portland, OR: Irish Academic Press, 2002. Be sure to vote for Catholic: Under The Hood for the Best Catholic Podcast for 2011 at About.com! In the second half of the nineteenth century, the popularity of Vin Mariani spread throughout European and American society as a wonder cure for almost every ailment. Unfortunately, drinkers of Vin Marini didn’t know that the secret ingredient had some not so pleasant side effects. Information on Vin Mariani can be found here and here. Images of Vin Mariani advertisements can be found here. Promotional advertisements for Vin Marinia featuring Pope Leo XIII can be found here and here. Pictures and endorsements from 1893 Vin Marini book can be found here. Inciardi, James A. The War on Drugs II: The Continuing Epic of Heroin, Cocaine, Crack, Crime, AIDS, and Public Policy. Mountain View, Calif: Mayfield Pub. Co, 1992. Mariani & Co. Coca Erythroxylon (Vin Mariani): Its Uses in the Treatment of Disease. Mariani & Co., 1886. Markel, Howard. An Anatomy of Addiction: Sigmund Freud, William Halsted and the Miracle Drug, Cocaine. 1st ed. New York: Pantheon Books, 2011. Pendergrast, Mark. For God, Country, and Coca-Cola: The Definitive History of the Great American Soft Drink and the Company That Makes It. 2nd ed., rev. and expanded. New York: Basic Books, 2000. The first steps of Neil Armstrong were “one giant leap for mankind” and led Catholics from Vince Lombardi to Paul VI to reflect on their faith and place in the universe. For some, the Apollo 11 mission was a source of inspiration – for others, there was concern that looking to the heavens meant forgetting those in need on Earth. Plus, the Bishop of the Moon. Video of Paul VI looking at moon through telescope during the Apollo 11 mission, watching the landing on television and speaking about the landing. Armstrong, Neil, Michael Collins, Edwin E. Aldrin, Jr., Gene Farmer and Dora Jane Hamblin. First on the Moon: A Voyage with Neil Armstrong, Michael Collins and Edwin E. Aldrin, Jr. 1st ed. Boston: Little, Brown, 1970. Farrell, OSB, Gerard. “Our Father’s God Whose Ever-Mighty Hand – Space Hymn” found in Our Parish Prays and Sings; a Service Book for Liturgical Worship with Official Texts, Hymns, Psalms and Paraliturgies. Collegeville, Minn: The Liturgical Press, 1965: 566-567. Rahman, Tahir. 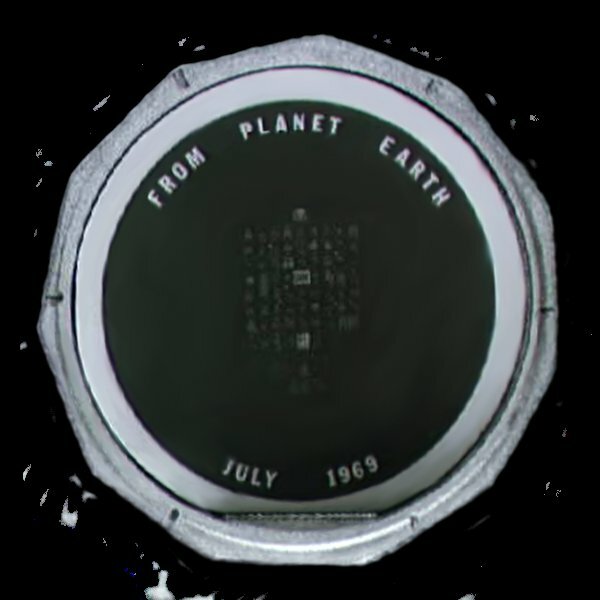 We Came In Peace For All Mankind: The Untold Story of the Apollo 11 Silicon Disc. Silicon Disc, LLC, 2008. Specola Vaticana. The Heavens Proclaim: Astronomy and the Vatican: A Book. Huntington, IN: Our Sunday Vistor ; [Rome, Italy] : Vatican City State : Vatican Observatory Publications, 2009. Wilson, Charles Reagan. “American Heavens: Apollo and the Civil Religion.” Journal of Church and State 26, no. 2 (March 31, 1984): 209–226. In the 1850s, the rise of the Know-Nothing movement symbolized increasing hostility to Catholics and immigrants in the United States. 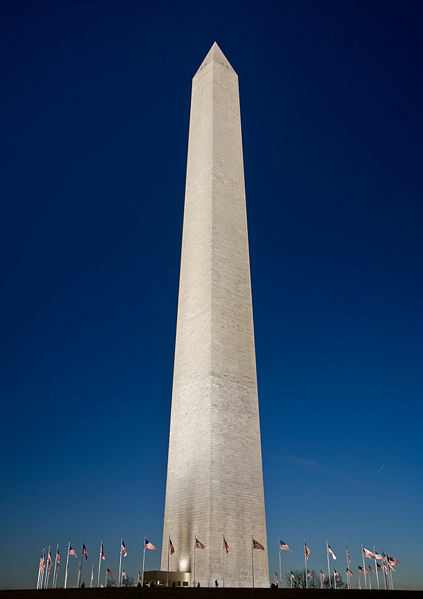 This hostility would even leave its mark on the Washington Monument. Endres, David J. “Know-Nothings, Nationhood, and the Nuncio: Reassessing the Visit of Archbishop Bedini”. U.S. Catholic Historian. 21. #4. 1 October 2003. 1-16. Jacob, Judith M. The Washington Monument: A Technical History and Catalog of the Commemorative Stones. National Park Service, U.S. Dept. of the Interior, Northeast Region, Design, Construction, and Facility Management Directorate, Architectural Preservation Division. 2005. Torres, Louis. “To the Immortal Name and Memory of George Washington”: The United States Army Corps of Engineers and the Construction of the Washington Monument. EP 870-1-21. Historical Division, Office of the Administrative Services, Office of the Chief of Engineers. 1985. Image of replaced “Pope’s Stone” taken from Jacob. Image of Smithsonian’s purported remnant of former “Pope’s Stone” from John Lockwood. “A Deed of Barbarism”. National Mall and Memorial Times. March 2010. 5. CUTH continues to celebrate National Black Catholic History Month with a look at The Knights of Peter Claver and the Ladies Auxiliary, who have worked to promote the Catholic faith within their communities since 1909. Abston, Emanuel. Catholicism and African Americans: A Study of Claverism, 1909-1959. PhD diss. Florida State University, 1998. Davis, Cyprian ed. Stamped With The Image of God: African Americans As God’s Image in Black. Maryknoll: Orbis Books, 2004. Davis, Cyprian. The History of Black Catholics in the United States. New York: Crossroad Publishing, 1995.